- SBC 360: Bored 60 over, Comp Cams Extreme Energy xe274, 200cc/64cc Dart Iron Eagle Heads, 1.6 Roller tip rockers, Edelbrock Performer RPM, Edelbrock 750, Flowtech Headers. - 7.5 Rear: GM 3.42 & GM Gov-Loc Posi. all 93-95 3.4 camaro/firebirds have warner T5's with ford bolt pattern, and the 96-2002 f-bodies have warner T5's as well just a different speedo for the newer 3800 cars. 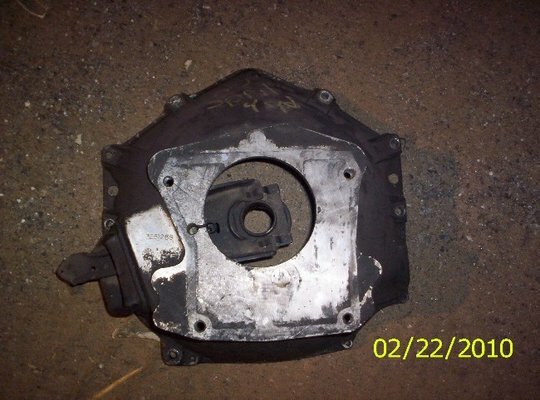 I did the research and found all this out...Hey another option...to 5 speed a g-body..
Are these cheaper and easier to find than a g body bell housing? In many pieces right now. I did find 2 more that are local to me...in the older yards...There are several more out there..But this lets you ran a 93-2002 f -body V6 5 speed...unlike the factory bell.